At the University of Western Australia, when the academic year ends in November, the mind turns to the need for research and publication. For this particular Australian editor, I especially need the resources of the Paris Bibliothèque nationale. Back in 1972, Qantas was offering a greatly discounted return air fare to London – including free return hop to Paris! The first step was to locate any extant manuscripts of these four texts. ThB had told me of the important volume 77 of the Studies, containing all the locations of manuscripts and printed editions, as compiled by William Trapnell. At the BN there were two surviving manuscripts of only one of my texts, the Mandement du père Alexis – published this month in OCV, volume 60B. Teaching and marking took most of my time during the academic year, especially (to ThB’s disbelief) as I was teaching all of French literature, not just the eighteenth century. Yet although our library had the Moland edition of Voltaire, Studies, and the first edition of the Correspondence, I wasn’t able to work on my opuscules until I got study leave, in August 1974. To obtain a carte de lecteur for the BN was about 40 Francs, and this also got me into the Département des manuscrits, where I set about palaeographically transcribing my two documents, one in Voltaire’s hand, the other in secretary Wagnière’s. The former became my base text (nowadays for OCV the first printed edition is often used). In order to establish variants, I found it helpful to read the manuscript aloud, recording it onto a cassette. I then played this back on a Walkman, while comparing it with each of the sources one after the other, noting down any differences. Obtaining access to the first printed editions proved, in the long run, to be something of a problem. I had assumed that all would be held by the BN. In the event, it was not until my edition of the Mandement was at proof stage that I learned of the existence of edition ‘65a’ (not held by the BN) – which then swiftly became my new base text after consultation with a photocopy provided by the Vf. One of my opuscules was the book reviews Voltaire contributed in 1777 to the Journal de politique et de littérature from 25 April to 5 July (OCV, vol.80C, list, p.12). As I saw it, my task was to read these books myself, in order to have some basis for assessing Voltaire’s views. Sterne’s Tristram Shandy provided no difficulty, being readily available in our university library. But how was I to consult the four others? In those days (1975) there was no e-mail, internet or Google. 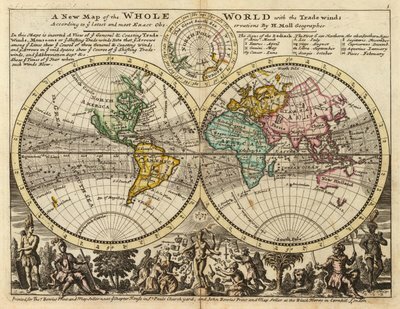 No copies were held in any Australian library, and in any case it was unlikely that any library anywhere would be willing to lend its copies of what would undoubtedly have been classed as ‘rare’ books. I was also busy preparing my doctoral thesis for publication, and my next ‘long period of uninterrupted concentration’ (the stated criterion for ‘humanities’-type research in the detailed submission made to the Australian Senate) would not be until my next study leave in mid-1979. By this time I had arranged to visit Cambridge (accommodation with friends) and acquire a reader’s card to use in their library, which held the ‘rare’ titles I needed to consult. I wasn’t even required to wear special gloves, or keep the pages open with a ‘sausage’, as I found was still the case in 2010 in the Rare Book sections of most of the Paris libraries. I obtained what I needed from the Cambridge library, and found ‘chapter and verse’ for all the other references contained in Voltaire’s footnotes. I roughed out by hand my introduction to this opuscule and the books reviewed therein, as well as listing by hand, as far as possible, all my own footnotes in numerical order. When I resumed my university duties, in 3rd term 1979, my teaching and marking loads were considerable (I was also supervising two Honours students’ mémoires), but after exam marking I found time to type up fair copies of the work completed on leave. Happily our part-time typist had earlier typed copies for me of Voltaire’s own texts, and eventually my complete typescripts were compiled by the third week in December 1979. These I photocopied and posted, with a covering letter, to William Barber (by this time he and Giles Barber of the Taylorian had become the OCV editors), who promptly acknowledged receipt of my work. Well, as most readers will know, my editions, as well as those of other contributors, did not become the object of actual publication for quite some time… but that, decidedly, is another story. Note from the Vf: OCV volume 60B is finally published this month. The very last of the collectaneous volumes in the series, the Œuvres de 1764-1766 contains twelve texts and some shorter verse. Work on it began as early as 1979 (see above). 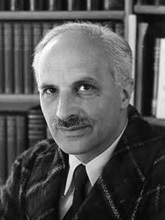 It involved eleven contributors along the way, and had passed through the hands of five of the in-house editorial team before it was typeset (four on the bibliography alone). It required eleventh-hour library checking in Paris by a willing student, and emergency call-outs to several OCV editors for last-minute problem-solving, including asking someone’s uncle in Canada to visit a local academic’s home to take photos to verify a manuscript variant. Impressive teamwork at the final hurdle meant that 60B kept its allocated slot in the tight OCV publication schedule. 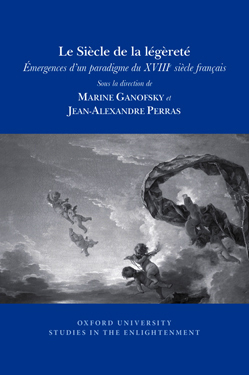 The complex logistics had been further compounded by the initial inclusion of the edition of the Collection des lettres sur les miracles by José-Michel Moureaux (who, sadly, died in 2012) and Olivier Ferret, which then moved to its own separate volume (60D), to be published this Spring. It’s fair to say that we live in a news-overload age. I for one am guilty of tuning out of events that seem very far removed from my own day-to-day life. This is how I sometimes find myself reacting to news from Syria. But I soon realized that this reaction stemmed in part from not being able to comprehend what it is like to live in a country undergoing such a raw and immediate upheaval. How can I understand their experiences when I am not living them? 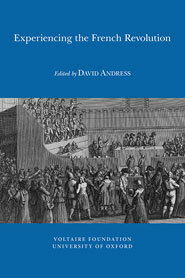 Time is a powerful thing, and we can better judge past events through the lens of history, but, as David Andress notes, ‘how we mediate experience recorded in fragmentary and assumption-laden evidence into present-day conclusions will always be a delicate question’ , which is why he argues for a plurality of approaches in his new edited book Experiencing the French Revolution. Indeed it is this kaleidoscopic view of one of the most significant revolutions to hit Europe that is so engrossing. To pick out one contribution above all others would be an injustice to all authors, as the book moves from analyses of broad cultural trends to very personal insights. However, from a completely biased perspective, tinged with a certain hiraeth, I’ll admit to being totally engrossed by Ffion Jones’ contribution on how the Revolution affected not just the French but also my own compatriots in Wales . She highlights the religious persecution of the growing community of Dissenters, who were cast in the same light as ‘dangerous’ French revolutionaries following a quickly quashed invasion of French soldiers on the Pembrokeshire coast. Revolution abroad was clearly convenient for the Establishment to rein in its own subjects. So where does this leave me? The knowledge that everyone’s experience is different and that everyone’s synthesis of another person’s experience will differ. 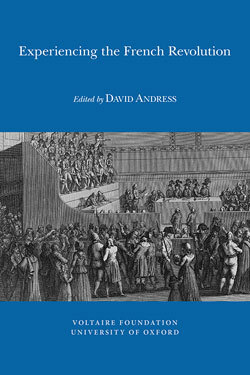 Experiencing the French Revolution, edited by David Andress (SVEC 2013:05), p.4. 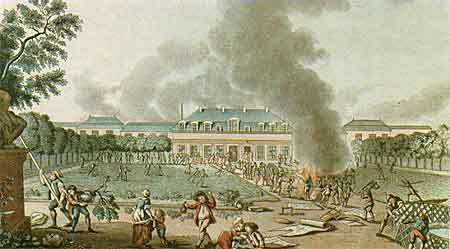 Ffion Jones, ‘The silly expressions of French revolution…’: the experience of the Dissenting community in south-west Wales, 1797’, in Experiencing the French Revolution, p.245-62.